Volume 3, Edition 12	 Trouble loading? View this email online. 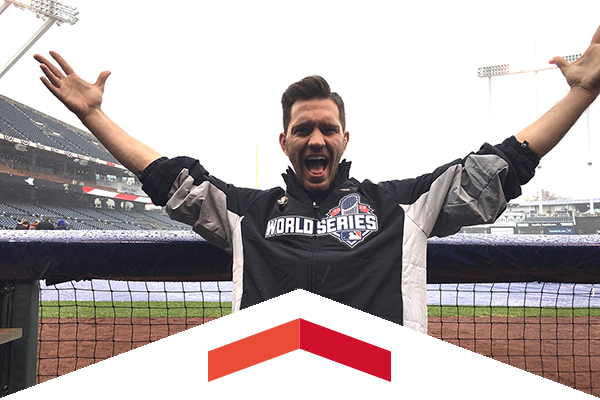 Long before the marathon 14-inning World Series Game 1 began, Matador Andy Grammer rounded off a very successful year by giving a proud and vibrant rendition of the national anthem at Kansas City’s Kauffman Stadium. 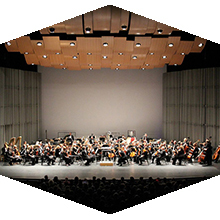 The Valley Performing Arts Center has been a beacon for the arts in Los Angeles since it opened in 2011, hosting top-of-the-line performers, a State of the City address, and film and television productions. Many fans and local arts aficionados have taken notice, as LA Weekly has just named the venue in its Best of LA 2015 edition. Día de los Muertos is a celebration that revolves around the appreciation of life and dead loved ones. CSUN’s Department of Chicana/o Studies helped to host the two-day celebration, Miccaihuitl, to help break myths and educate the community about the Mexican holiday. Sat, Nov. 7, 7 p.m.
Rock the Red and make some noise as the Matadors host the Aggies in a hotly contested conference tournament game. On the line: A trip to the NCAA Tournament. Thu, Nov. 12, 8 p.m. The three-time Grammy Award-winning mezzo-soprano returns to perform at her alma mater. Join fellow CSUN alumni to experience a performer who is considered to be one of the most exciting artists of her generation. The four-day event will feature lectures, live performances, an exhibit by interdisciplinary artist Eva Malhotra, as well as a film festival highlighting some of Latin America’s most talented filmmakers. Tammy Bleck will share insights on the rapid growth of new communication media, today's most popular media platforms and how to use them to achieve success. CSUN has received a $250,000 gift to ensure that future teachers working with Armenian students have a strong foundation in understanding Armenian culture and language. CSUN Alumnus Larry Twersky, a nationally recognized visionary entrepreneur and business executive, will share his story, including his successes and failures. Get real insight, real answers to real questions that will help your business. Co-produced by the CSUN Alumni Association and LACI@CSUN. The National Center on Deafness at CSUN has been an important fixture on campus and a strong voice in the Deaf community for 50 years. Cathy McLeod, the new director, is starting the next half-century with big ideas to help the center empower students in the digital age. 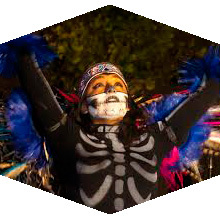 CSUN Profesor Talks About Day of the Dead Celebration in U.S.